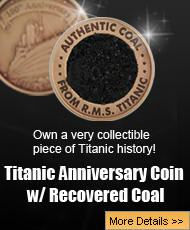 The night of April 15, 1912 was the night that the world’s biggest and most famous ship, the RMS Titanic sank beneath the cold dark waters of the North Atlantic. When rescue ships finally made it to the Titanic’s last reported position, all they wound was debris, bodies, and the rescue ship Carpathia that was picking up the lifeboats that carried only 705 survivors. Those rescue ships sent word back to the world that the most unthinkable thing had happened, and the biggest ship in the world was gone, and some of the richest people in the world were now dead. As the Carpathia was heading back to New York City with the 705 survivors, the world began to speculate about who had done what, who were the heroes, and who was to blame for such a horrible disaster. Before the Titanic slid under the water of the North Atlantic, a lot of the brave men put their wives into lifeboats to ensure their survival. Once such brave man was Colonel Archibald Gracie, and he personally took care of a pair of sisters, and one of them was Charlotte Lamson Appleton, who Gracie knew personally. 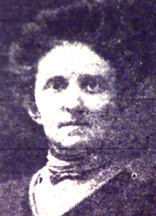 Charlotte Lamson came into the world on December 12, 1858. American by birth, Lamson was born in the Big Apple, also known as New York City. Lamson’s parents were Charles Lamson and Elizabeth Marshall. Charles Lamson worked in a shipping house as an importer of dry goods, but he eventually worked his way up to becoming senior partner. 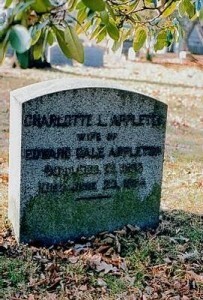 At the age of 36, Charlotte Lamson married a man named Edward Dale Appleton. Appleton was the son of book publishers that called Massachusetts their home. The happy couple called New York City their home, but they chose to live in the Queens area. Charlotte Appleton suffered a personal tragedy in 1912, and she and her two sisters left New York City in order to travel to England. Another one of Appleton’s sisters had passed away, Lady Victoria Drummond. After burying their sisters, Appleton, and her two sisters, decided to return home on the RMS Titanic, and travelled to Southampton in order to climb on board the giant ship. While on the Titanic, the three sisters came across a mutual friend, Colonel Archibald Gracie, and the old military gentlemen took it upon himself to personally look after the three women, who were traveling without any male escorts. After the Titanic struck the iceberg, Colonel Archibald Gracie was there for the three sisters, and he found them on the boat deck. The lifeboats were filling rapidly, and two of the sisters became separated from the third. Gracie put Charlotte Appleton into lifeboat number 2, which left the sinking Titanic at 1:45 am. Appleton’s other sister did manage to escape on another boat, collapsible D, which was the very last boat to leave the Titanic at 2:05 am. At around 3:30 in the morning, the rescue ship Carpathia appeared on the scene and began picking up the survivors. The three sisters got yet another shock of their lives when they discovered that one of their relatives, an uncle named Charles Marshall, was a passenger on the Carpathia. While the rescue ship headed back to New York, the families of the three sisters had absolutely no idea that the three women were alive and had survived the disaster. On the night of Thursday, April 19th, the Carpathia arrived in New York with over 1500 passengers. When the passengers and survivors were finally allowed to leave the ship, the families of the three sisters were very relieved when they saw all three sisters walking down the gangplank. After the sinking of the RMS Titanic, Charlotte Lamson Appleton returned to her home in Queens, New York. There in Queens, Appleton continued to live out the rest of her life. On June 25, 1924, Charlotte Lamson Appleton died at the age of 65. 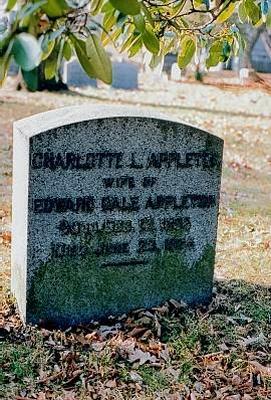 Her husband, Edward Dale Appleton went on with his life after burying his wife, and finally, on January 29, 1942, Appleton died and was buried beside his loving and devoted wife, Charlotte. May Charlotte Lamson Appleton, and all Titanic survivors, find eternal rest in quiet and peace.